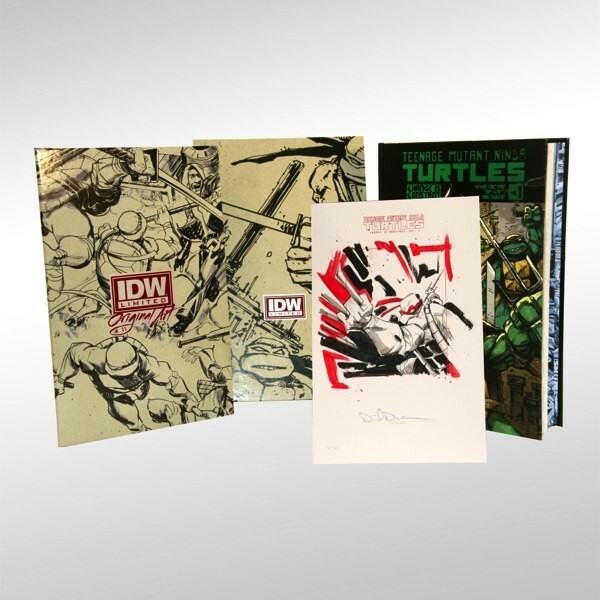 Limited to 175 copies, each IDW Limited Red Label of Change Is Constant is housed in a custom slipcase, also containing unique, hand-drawn sketch art from Dan Duncan and a signature plate signed by TMNT co-creator Kevin Eastman, series writer Tom Waltz and artist Dan Duncan. Signatures and artwork are housed in a hardcover artist’s portfolio accompanying the book. Limited to 175 copies worldwide. Hand-numbered and crimped sketch plate on 250-gsm-art paper featuring a spot color illustration of one of the Teenage Mutant Ninja Turtles by series artist Dan Duncan. Hand-numbered and crimped signature plate signed by original TMNT co-creator Kevin Eastman, series artist Dan Duncan and series writer Tom Waltz. 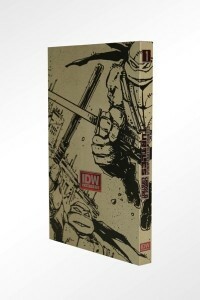 Exclusive custom cover design featuring artwork by TMNT co-creator Dan Duncan and an embossed IDW Limited Red Label logo. 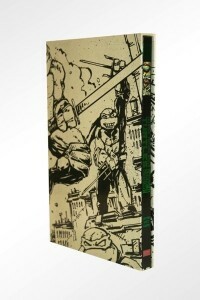 Custom-designed slipcase wrapped with art by TMNT co-creator Kevin Eastman. Limited to only 175 copies, this special Red Label edition is hand-signed and numbered by TMNT co-creator Kevin Eastman, series artist Dan Duncan and series writer Tom Waltz. 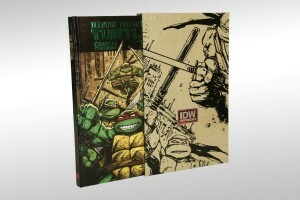 Also exclusive to the Red Label edition, each copy includes an original, hand-drawn sketch of one of the Turtles with spot colors by TMNT artist Dan Duncan. Each unique hand-illustration is numbered to match the book and is housed in an exclusive hardcover portfolio. The deluxe limited edition is packaged in a high-quality slipcase, exclusively designed for Red Label customers. CHANGE IS CONSTANT collects Teenage Mutant Ninja Turtles #1-4 plus bonus materials and highlights TMNT’s return to comics with a brand-new origin story in their first IDW adventure. Featuring familiar series favorites like April O’Neil and Casey Jones, and introducing a new villain—the dangerous mutant alley cat—Old Hob, this is the start of a wild ride!